Montenegro - a small country in south-eastern Europe, which is rapidly gaining popularity among tourists in recent years,. Rest in Montenegro attracts the beautiful beaches of the Adriatic, unique natural scenery and affordable price. stop the boats and yachts on the beach area. Many of these shortcomings disappear with the end of high season. Therefore, resting comfortably in Montenegro in late summer or early autumn. Depending on the terrain, there are three of the region Montenegro, which differ in their climatic features. For the Adriatic coast is characterized by a Mediterranean climate, comfortable for a beach holiday in Montenegro with mild, cool winters and hot, dry summers. The season starts in May, when the air is heated to +21 degrees, and lasts until October. The water temperature during the entire period of the swimming season does not fall below 20-26 degrees. In the summer heat, there is not so much due to the proximity of mountain peaks. In mountainous areas the climate is reminiscent of an alpine, with cold snowy winters and very hot summers. In the mountains, the summer temperatures do not rise above +19-25 degrees. The snow cover lasts up to five months. Winter holidays in Montenegro ski resorts begins in November-December and lasts until March. The central part of the country is separated from the high ridges of the coastal zone, an obstacle for offshore wind. There prevails a temperate continental climate, more cool and rainy, than on the coast. Summer is very hot with average temperatures 20-25 degrees and mild winters. Rest in Montenegro summer connected, basically, with the Adriatic coast, who joined a stunning scenery of mountain peaks and turquoise blue sea water. The high level of transparency and the rich underwater world attracts many diving fans. In the deeper layers can be seen cuttlefish and moray, sometimes possible meeting with the blue or white sharks. Budva and surroundings form the largest leisure center in Montenegro, the famous beautiful sandy beaches and nightlife. For divers will be interesting wrecks at the bottom of the bay. 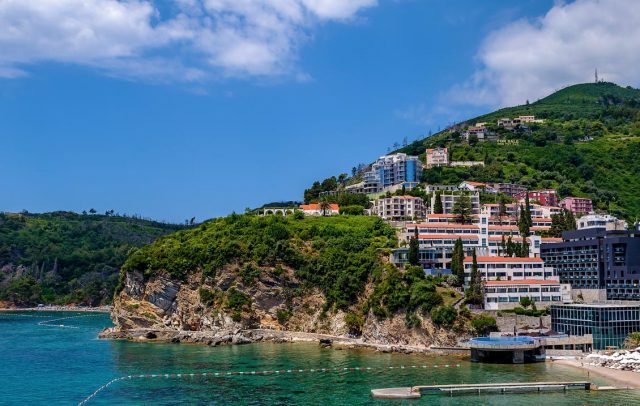 Budva falls into the category of luxury resorts, but, bothering to advance, You can find a budget hotel. The city also has a lot of small cafes with reasonable prices and with fast food stalls. Among the cities in Montenegro vacation in Budva interesting fascinating stroll through its historic center. Old Town is situated on a small spit, outstanding in the sea, and is surrounded by walls. Its history goes back almost 2,5 thousand years ago, which is confirmed by archaeological excavations. The architecture of Old Town significantly influence the Venetian traditions. In the past century, the bulk of the buildings were destroyed, but soon recovered. Tourists love to walk through the streets of Old Town, enjoying its cozy atmosphere. 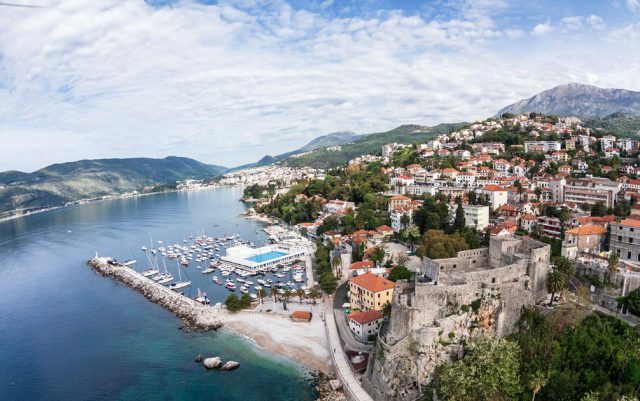 Budva is popular for families with children in Montenegro. For them, organized an interesting excursion program. On the outskirts of a mini-zoo, where children can feed the rabbits and peacocks, or to play with the calves. In the water park there is a small pool with slides, tennis court and playground. There are rides for adults. organized entertainment for children and smaller at an amusement park. The development of hotel and resort infrastructure base for a holiday in Montenegro started only recently - since the early 2000s. During this time, there are many new hotels, and most of the old were reconstructed. However, not all of them even passed the international certification. Therefore, when choosing a hotel is better guided by the number of services offered and the distance from the sea. Meals often organized according to the principle - breakfast buffet or "all inclusive". Many hotels have their own beaches. Best vacation in Montenegro offers Hotel Meridian Hotel 4*. The building is located on a small hill, just 50 meters from the beach. Beautifully decorated apartment opens onto a balcony with sea views. On the balcony there are sun loungers, sunbathing. The rooms have excellent soundproofing, equipped with modern amenities and facilities for making tea or coffee. On-site facilities include an outdoor swimming pool with sauna. Great vacation in Montenegro awaits hotel guests Splendid Conference & Spa Resort 5*, Located near the sea. He became one of the first five-star hotels of the European class, a private beach and outdoor pool. It offers offers spacious apartments with luxurious interiors. The terrace offers wonderful views of the bay with white yachts and the Old Town, located within walking distance. On-site facilities include a SPA center, playground, tennis court. It works great casino. The hotel has all the conditions for holidays in Montenegro with a child - baby cot, separate menu in a restaurant, babysitting. Organized kids club with animation. One of the most popular resort towns on the Adriatic coast, which attracts not only a beach holiday, but the monuments of medieval architecture. He comfortably perched on the banks of the wonderful bay of Boka Kotorska, surrounded by the picturesque chain of mountain peaks. 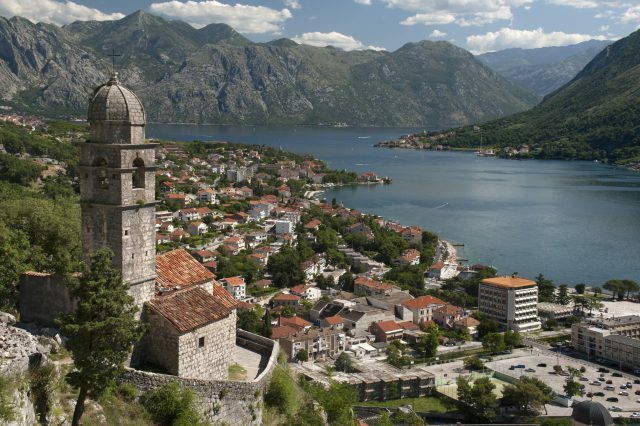 Which are among the best holiday destinations in Montenegro. A rich history has left it unique imprints of different eras. The first buildings in which appeared in 12 century. Over time, the city became an important trading center on the Bay, formed as a result of submersion of the ancient river canyon. Greater depth and the absence of strong currents made the bay a convenient harbor for ships, which contributed to the rapid economic development of the region. The town has been influenced by different civilizations, which is reflected in the unique architecture of its historic center. For lovers of sightseeing holiday in Montenegro will be an unforgettable walk through the winding streets of the Old Town. Surrounded by massive city walls are ancient cathedrals and palaces. In one of the old buildings is located the Maritime Museum of Kotor. The city in the Middle Ages was organized marine brotherhood. In the museum you can see many valuable exhibits, including old sailboat model, Maritime navigation instruments, cards. At the entrance are two guns, reminiscent of the battles of the local sailors from pirates. Kotor hotels for holidays in Montenegro, basically, located near popular attractions and a private service for the organization of exciting excursions. Most of the hotels has a developed infrastructure of entertainment and recreational services. A popular and cost are placing one villa. Although most of them are located on the sea shore, but equipped with an outdoor swimming pool and modern amenities. Relaxing holiday in Montenegro will provide a magnificent hotel complex Apartments Residence Portofino. Hotel with private beach and marina located on the shore. Apartments with panoramic windows open onto a terrace overlooking the bay and mountains in the distance bluish. Rooms equipped seating, a kitchen with the appropriate environment. For children under the age of 13 years extra bed free of charge. For fans of outdoor activities in the territory of Montenegro, the hotel is divided into several zones. One of them goes into the green mountain range, which paved hiking and biking trails. Highlighted some areas for fishing enthusiasts, for children's activities. From the pier you can go on a fascinating cruise of the Gulf, or rent a boat, to visit the enchanting islands of the ancient church. Old Town is just a 20 minute walk. One of the best Montenegrin hotels for leisure. Located in the beach area, minute walk from the sea. The Old Town is 200 m. Although the hotel does not have an extensive adjacent territory, It attracts guests atmosphere of comfort and hospitality, reigning in it. The rooms are spacious and clean, a seating corner and a kitchenette. It overlooks the magnificent view of the coast. The hotel has a recreation area with playground. For children there are cots and babysitting service. 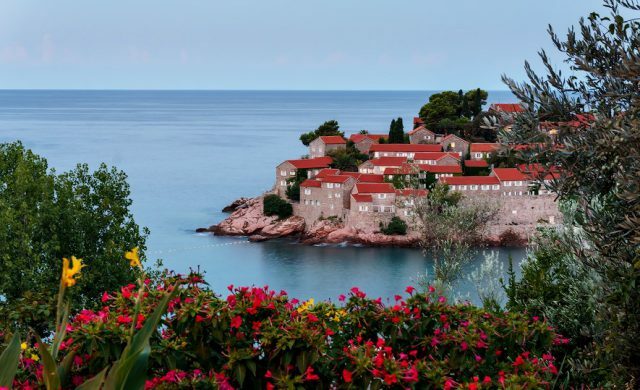 Luxury vacation in Montenegro awaits guests of the resort village of Sveti Stefan. Near the village is the island of the same name. More recently, between the island and the coast appeared the isthmus of natural origin due to the gradual layering of gravel. The first settlements on the island appeared in the middle 15 century, and during the reign of the Venetian Republic, he was already playing an important role as a transport hub. After many centuries,, in the middle 20 century, Sveti Stefan was transformed into a prestigious resort for holiday in Montenegro famous people. After the breakup of Yugoslavia, the island was abandoned, and now once again becoming one of the most luxurious resorts in Montenegro. On the island of Sveti Stefan reigns the magic atmosphere of the old Venetian town, narrow streets which are surrounded by lush Mediterranean greenery. Villa Milocer - its main attraction. It was built in the 30s of the last century as a summer residence for the rest of the King of Montenegro. The hotel area and the beach adjacent to it with amazing pink sand is in the area of ​​the National Nature Reserve, which includes the beautiful Kings Park with unique ancient trees and wonderful olive grove. The island is famous for its charming medieval flair, who feel, walking on the old cobblestones, or small areas of stone stairs and cozy streets. In the Middle Ages a fortress to protect against the Turks was built, within which preserved ancient buildings, including, and St. Stephen's Church. The island is often rented for a family holiday in Montenegro many celebrities and wealthy businessmen for special celebrations. Some of them have their own villas here. Island hotels are located in the medieval buildings, fully renovated apartment in an elegant and equipped with modern amenities. The external appearance of the buildings has not changed, preserved all the features of ancient architecture. However, inside it offers luxurious interiors, made of natural materials. Sveti Stefan offers the best vacation in Montenegro in one-story cottages, each of which is individually decorated according to the sketches of leading designers. magnificent apartment, located on the shore, near the old town. The hotel offers 10 rooms with dining area. All rooms have excellent sound insulation and rich interiors, in classic style. Bedrooms are located on the wide furnished terrace with sea views. An outdoor swimming pool, Spa complex. Convenient location near the sea, great apartments and quiet atmosphere provide a wonderful family holiday in Montenegro Hotel Apartments Raymond 4*. Cozy and bright rooms overlook a spacious terrace for sunbathing. The kitchen is fully equipped with appliances and utensils. The hotel has an excellent infrastructure of active recreation - there are opportunities for diving or snorkeling. Who can go on horseback or hiking. Organized a variety of activities for children. One of the best places for a beach holiday in Montenegro is the charming seaside town of Ulcinj, the southernmost country on the Adriatic coast. The city is known for its ancient and rich history. he appeared, according to researchers, at 5 century BC and at different times was part of the Roman Empire and the Venetian Republic. More 3 century Ulcinj was ruled by the Ottoman Empire, It has a significant impact on the local architecture. In the Middle Ages, the city gained notoriety as a pirate capital and center of the slave trade on the Adriatic. Today, the ancient city has become a popular resort in Montenegro for a variety of relaxation and is famous for a record number of sunny days. In Ulcinj, a lot of historical and architectural attractions, preserved from different eras. The main of them are concentrated in the historic center of Ulcinj - Old Town, which attracts the elusive charm of antiques and oriental flavor. tourists, arriving in the southernmost city of Montenegro, on vacation, be sure to visit the Old Fortress with traces of ancient civilizations. From a viewpoint of the fortress walls with great views of the surrounding area. It is interesting to visit the archaeological museum, which is located in a former temple. And today, on its walls you can see fragments of frescoes preserved 16 century. The museum contains exhibits, belonging to different eras, from the Bronze Age. For a family holiday in Montenegro, Ulcinj with children - one of the best places. Where you can find different options for accommodation. Due to the ban on capital construction at the coast, hotels in close proximity to the sea there. However, their property is a beach area with all necessary infrastructure. As a budget option, you can rent a private accommodation or choose camping. guests, Hotels in Montenegro, expect 12 rooms of different sizes and price ranges, Decorated in a contemporary stylish design. An additional advantage is the excellent sound insulation. There are equipped kitchen and a sun terrace. The hotel is located two minutes walk from the beach. It offers guests two swimming pools, one of which - indoor, and sauna. Bicycle and car rental. The cozy apartment hotel, guests will feel comfortable in the quiet picturesque olive grove. This is an excellent option for a holiday with children in Montenegro. Spacious rooms with stylish interiors consist of a bedroom, living room with dining area and kitchen with all amenities. Wide windows open onto a terrace with stunning views of the sea or the historical center of Ulcinj. The beach is 5 minute walk, and the attractions of the Old Town - in 500 m. The hotel can arrange cruises on the bay, possible independent water boating. Many tourists choose a cozy resort town of Herceg Novi for holiday in Montenegro in September. It is picturesquely situated on the slopes of a green hill, to the top of which is a fascinating interweaving of cozy streets and endless stone stairs. For centuries sailors were imported from different ends of the earth rare plants. Today, because of the abundance of greenery the city resembles a huge botanical garden, from every corner of the stunning views of the bay. The eventful history of Boka Kotorska and touched a small town in Montenegro, which is now a popular holiday destination. The historic center is similar to a real open-air museum, in the exhibition which displayed the amazing monuments of Christian and Islamic architecture. Popular natural attraction is the Blue Cave - a unique grotto, It has an unusual visual effect. As a result of the refraction of sunlight at a certain angle the surface of water is poured in different shades of blue, that color and the walls of the cave. In the vicinity of Herceg Novi many healing mineral and mud springs, thereby rapidly developing recreation vacation destinations in Montenegro. The therapeutic effect is enhanced by pine aromas of pine forests, covering the slopes of mountains. Nearby is the biggest center of rehabilitation of health, where patients with diseases of the heart come, spine and internal organs. The resort features a variety of hotel facilities, represented all categories of hotels, luxury villas and Budgetary private housing. Well-developed beach infrastructure of water activities. Divers will be interested in the remains of sunken ships in the bay. Great vacation in Montenegro will provide hotel SUN RESORT HUNGUEST 4*. Located in the beautiful seaside park near the waterfront, it has its own beach with a concrete platform. The homelike decorated rooms open onto a balcony overlooking the sea or the old town. Throughout the season, an on-site outdoor swimming pool with children's area, a Finnish sauna with a massage parlor, tennis court. The restaurant offers a children's menu. An excellent choice budget holiday in Montenegro for the whole family will Riviera Resort Hotel (Venera). Located on the first line, It has its own beach. Spacious rooms overlooking the terraces, immersed in the lush greenery of a wonderful garden. The vast territory is divided into several zones, wherein arranged tennis court, open pool, gym. On the coast, running water entertainment center. For children and babysitting services, separate menu, kids club. While vacation in Montenegro is associated with the summer, This small country is interesting in all seasons. The main advantage of the winter holidays is the lack of an influx of tourists and low prices for hotels for the same quality of service. Many cafes and restaurants open around the clock, and numerous festivals and trade fairs, film screenings and concerts will not be bored. In the north of the country opens season holiday in the ski resorts of Montenegro. Most ski resorts are located in Kolasin and Zabljak, in a nature reserve. On hillsides laid slopes of different difficulty levels, there are gentle slopes for beginners. Working lifts and ski rental, actively developing infrastructure. There will be no problems with accommodation, You can book a cozy chalet or apartment. Winter holidays in Montenegro would be an excellent choice comfortable hotel Rooms and Apartments Mirovic, which is located on the beautiful mountain stream. Two-storey homes with comfortable wooden furniture. There are equipped kitchen, terrace with wonderful views of the mountains, in the garden there is a barbecue. The restaurant offers a children's menu. Quiet cozy chalet in the vicinity of the ski resort of Zabljak offers excellent accommodation with wooden floors and furniture. There is a balcony and a kitchen with all amenities. children under 12 and under stay free. Rest in Montenegro is not limited to beaches and skiing. Due to the unique landscape of the country is able to offer a wide variety of leisure activities at any time of the year - an exciting rafting on mountain rivers, extreme jeep safari, fishing and hunting. The country is rapidly developing tourist infrastructure, bringing the country into a number of the most popular travel.